ICBC had the privilege to attend the launch of Canada-India Postage Stamp at the Official Residence of His Excellency Nadir Patel on 21st September 2017. 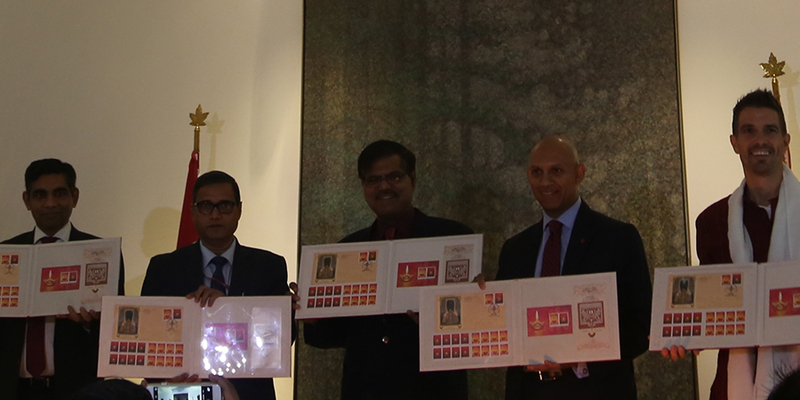 The High Commission of Canada in collaboration with India Post launched the postage stamp to mark the festival of Diwali. This is the first joint stamp issued by the two countries which will remain valid for 10 years. The launch recognises the importance of the Canada-India relationship based on the shared values of democracy, pluralism, equality for all, the rule of law, and people-to-people ties, as well as to mark Canada’s celebration of 150 years of Confederation. Not only does the Diwali stamp represent Canada’s proud diversity, but it also celebrates the close bond between the two countries. Present at the launch were Mr. Munu Mahawar; Joint Secretary (MEA), Mr. L.N. 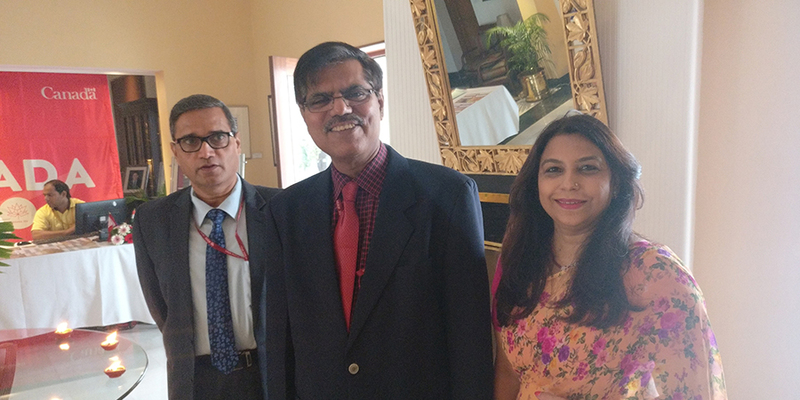 Sharma, Chief Post Master General, Delhi; Mr. A N Nanda, Secretary (Department of Posts), H.E. Nadir Patel; High Commissioner for Canada to India and Mr. Matt Friesen, Counsellor and Head of Advocacy.